As I stroll down a hallway, an 8-foot mechanized cyborg passes by me. Resting in a semi-seated position and staring into a smartphone is a unicorn-headed half human. Further down I see a line of droids ambling away. And wait! Was that Stan Lee?! Did I just bring you into one of my alcohol-induced dreams? 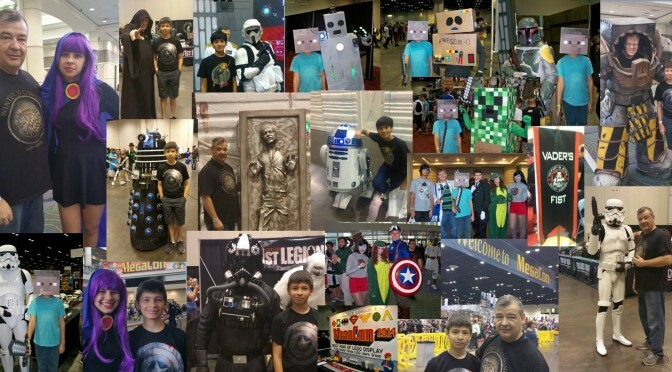 Nope, that was just a small part of MegaCon 2015 in Orlando, Fla.
MegaCon is the annual younger cousin to the now-famous ComicCon of San Diego. But not that much smaller. 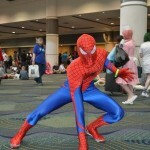 This year over 70,000 super-heroes, monsters, robots, geeks and freaks passed through its doors. For me, a lover of all things comics from the early 70s, a giant comic book convention should have been an annual event from way, way back. But it wasn’t. Early on I viewed all conventions, comic, Star Trek, scifi and horror as the domain of not just geeks, but rather stuck-up, solitary, scary collector-type geeks. And in a convention they found the one event where they could congregate and be all geeky about their collections together. I was not a collector. I was a reader. I devoured comics and pulp mags, scifi, super-heroes and horror. But I never kept my comics and mags in pristine, collectible condition. I read the hell out of them. I rolled them over, shoved them into bags, creasing pages that reduced their monetary value but with every reading, they increased in spiritual value to me. Many were lost or traded over time. Some were even damaged by Silly Putty overuse. But they were never forgotten. Fast forward many, many, many years to my family that now includes some teenagers, who grew up reading fantasy book series, anime and comics. Three years ago they convinced me to take them to our first MegaCon. I thought I knew what I was in for. I prepared myself to spend the day letting my kids explore and I would limit myself to looking through comics, mags and memorabilia that interested me, whiling away the time. Yes the exhibitors were there with the comics and accessories, and many of them looked and acted like the comic book collector geek from “The Simpsons.” But there was so much more. Full booths dedicated to the likes of the Southern R2 Builders Group, the Greater Florida LEGO® Users Group and the 501st Legion or as they are better known, “Vader’s Fist”. Sure these were middle-aged folks spending thousands of dollars on building the most incredible replica of a fully functioning R2D2 droid. 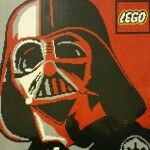 But it felt right and not geeky. Maybe it felt that way because these full-sized, fully functioning and moving droids are definitely the ones I was looking for. It was my childhood brought to life. And the storm troopers, mercenaries, Wookies and Jedis of the well-known galactic fantasy tale were all there. Yes, there was the well-known and the obscure. But what about comic book characters? 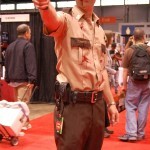 If I were to guess I would say they were all well represented by the thousands of cosplayers. From the bizarre, to the sublime, from the expensive and elaborate to the cheap and last-minute creation. 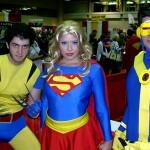 Wolverine, Supergirl, Thor, Spiderman, Rick Grimes…and Powdered Toast Man. 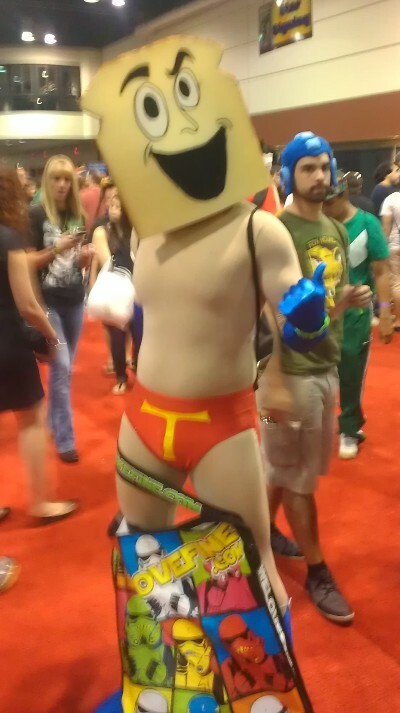 But the most interesting part was seeing that this was not a culture of geek exclusivity or freak elitism. 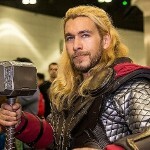 From what I saw in a day, every cosplayer was very gracious to every request for a picture or to engage in conversation. And so many poses — from heroic to horrific to hysterical. 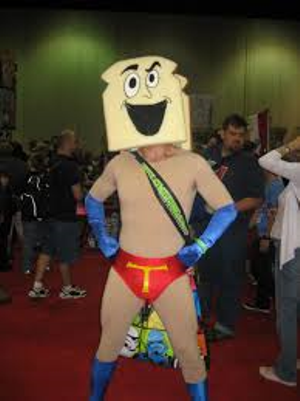 Did I mention Powdered Toast Man? Some cosplayers were surrounded by fans of all ages. And everyone wanted a picture. 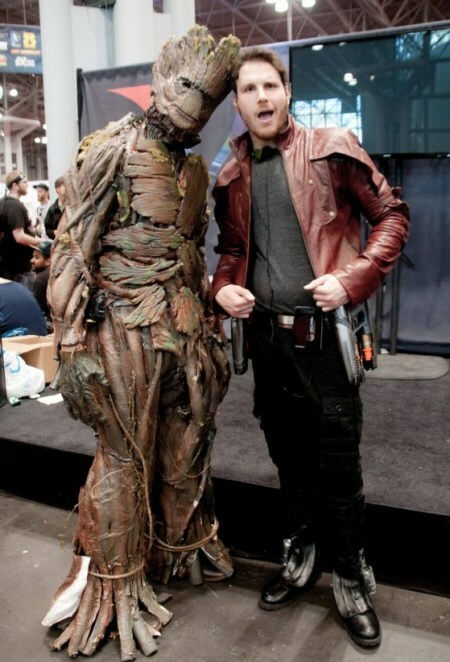 I saw an 8-foot Groot, splendidly re-created, down to the slow difficult walk in that costume. He wouldn’t have walked fast even if his tree-stumped legs allowed, because every half a step there was another photo request. And when a fantastically accurate Star-Lord crossed his path, it was a true Kodak moment. 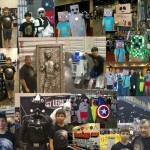 MegaCon has now become an annual thing in our family. My kids take it to an extreme and I love it. This year my oldest daughter went to all three days and dressed as two different characters. 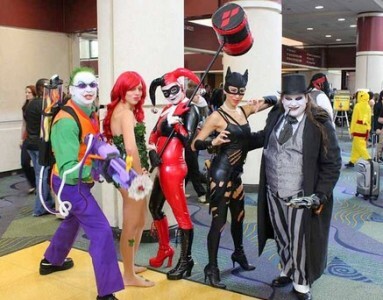 In fact, we have started a budget for MegaCon 2016 for all of us, including my wife, to attend all three days and we will all be costumed. The family that cosplays together stays together.